This school of Tibetan Buddhism developed from the teachings of the Indian tantric master Padmasambhava (who traveled to Tibet by invitation of King Trisong Detsen) in the 8th Century and remained the only form of Buddhism in Tibet for nearly two hundred years. In the mid-9th Century Buddhism suffered tremendous persecution, and subsequently Buddhism declined until the 11th Century. Another great Indian master who traveled to Tibet, Atisha, was responsible for the renewal of Buddhism in 1042. 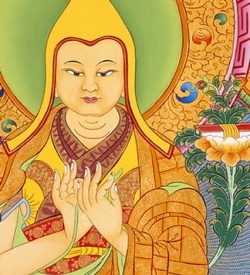 Some 30 years later, as a result of his teachings, the first Sakya Monastery was established. The Sakya School eventually became very powerful and many monasteries were established because of its close links with the Mongol Empire. 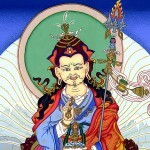 In the mid-11th Century the Tibetan Marpa traveled to India to receive the precious teachings of the great master Naropa (who is one of the 84 mahasiddhas). 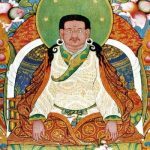 Marpa mastered these teachings and upon returning to Tibet spread them widely. His many disciples eventually formed the new Kagyu School and established a large number of monasteries in Tibet, Mongolia and China. 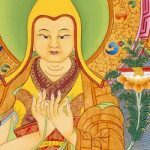 Marpa’s main disciple was Milarepa, Tibet’s great and most revered ascetic and mystic poet, who in turn attracted thousands of disciples -both men and women- to his teachings. 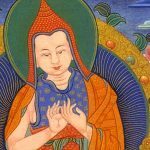 In the early 15th Century the Gelug School came into being, as a result of the exceptional insights of the great Lama TsongKhapa. 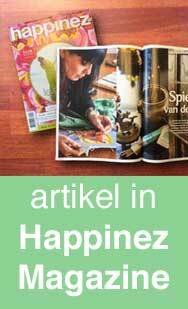 After studying more than 20 years with teachers from all other schools, he brought together a great council to review monastic vows and discipline, and this gave rise to a new wave of monastic renewal all over Tibet. The 3 famous Gelugpa monastic universities of Ganden, Drepung and Sera (near Lhasa, the capital of Tibet) were founded by TsongKhapa’s disciples towards the end of his life. Within the Gelug school the lineages of both the Dalai Lamas and the Panchen Lamas developed.